Studio PBA recently received recognition as Designer of the Year from our Design / Build client ARCO Murray at their 11th Annual Vendor of the Year Awards in Chicago. 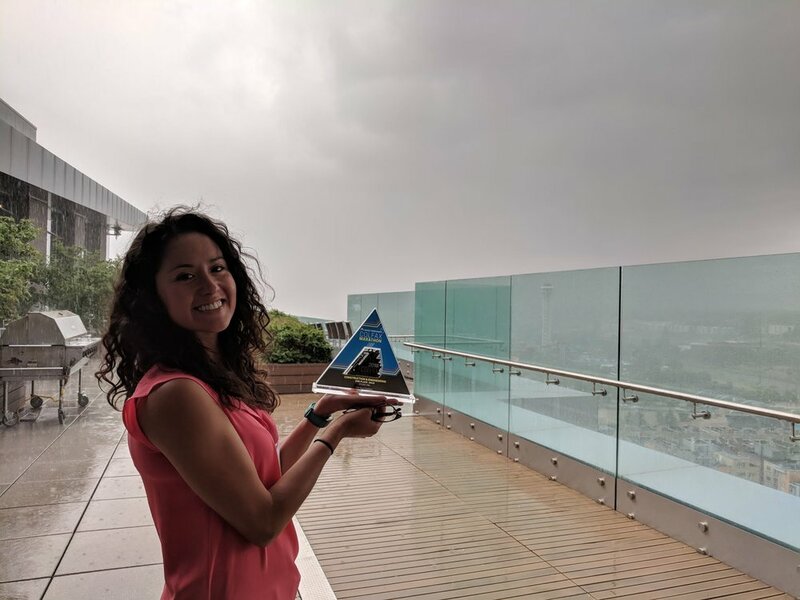 We have enjoyed getting to know and working with this new client and were very honored to accept this award from them for the work we’re doing here in Denver. We love building lasting relationships with clients and strive to make sure that we maintain those relationships. Take a look at some new drone images we’ve captured of Sugarmont Apartment’s construction progress in 2019! Look at those great mountain views. Sugarmont Apartments are located in the eclectic Sugar House Neighborhood of Salt Lake City. The Transit Oriented Development apartment complex will add much needed density to the area, replacing two existing abandoned warehouses. From the plaza, a pedestrian path intersects the L-shaped building and pulls the movement of people through the site with connecting paths to adjacent restaurants/bars. Amenities include a fitness center, 3rd floor pool with views towards Fairmont Park, a roof deck looking out to the mountains, and three additional courtyards on top of the podium that offer quieter reflection spaces. Watch this great virtual tour of one of our projects with Carmel Partners --CoLab Apartments it is located at 1493 N. Osage St in Denver. Leasing for Fall 2019. CoLab Student Apartments in Denver. Holland Park1200 is nearing construction with fourteen of its fifteen buildings open and renting, and the last one expected in the next few weeks. Landscaping is currently in progress throughout the project and as you can see in the pictures below, all the exterior finishes are completed, and exterior painting is finishing up. The dog wash and bike repair shop are open, as is the playground, complete with buried (faux) dinosaur fossils! The Studio PBA staff was invited to tour a new development called the Economist that we’ve been keeping an eye on as it neighbors our office to the West. The Economist, designed by OZ Architecture is located at 1575 Humboldt Street. Mr. Barry Hirschfeld kindly led our tour. This project features two buildings consisting of 97 micro unit studio and one bedroom layouts ranging from 291 to 588 square feet respectively. The exterior features a dark hardiboard shingles and protruded metal trim while the split section between the two buildings features work from local street artists with vibrant shingles of warm color creating welcoming amenity spaces. The units boast high ceilings with lots of natural light, full-sized washer and dryer units and lofted spaces to make these smaller than average units feel open. This project already has residents in approximately 25% of its units with the second building expected to be completed this winter. The Economist amenities include a gym, community lounge, meeting space and a rooftop patio with expansive views. Studio PBA recently submitted Aria Cohousing, an affordable for-sale condomunium project in the Chaffee Park neighborhood of Denver, for an AIA award at the Denver/Colorado level. The awards banquet was held September 7, and although we did not win, we wanted to share this submittal and project one more time, as it has had a unique impact on the lives of almost 60 indivuduals and the surrounding neighborhood. To see our full AIA submittal and read about the Aria Coshousing, click here. AMLI RIVERFRONT GREEN NOW LEASING! AMLI Riverfront Green is located in Denver's Riverfront Park neighborhood at 1750 Little Raven St. Denver, CO 80202. Studio PBA's latest collaboration with AMLI Residential is now leasing. AMLI Riverfront Green is uniquely situated on one of the last remaining sites in the Platte River Valley District where it transitions from Commons Park to nearby higher density neighborhoods. It is an area that continues to evolve into a vibrant live/work/play environment that attracts a wide variety of people. Our project celebrates this diversity by offering both townhome style living and higher density apartments with varying unit plans. The units fronting Little Raven Street are 5 story, and are scaled down to meet the Park opposite the site while the 7 story apartment building steps up in scale. Brick facades floating above the ground plane and enlarged outdoor living spaces at grade help create an active and lively pedestrian zone at street level. Traditional materials of brick, stucco, and stone are contrasted with colored, glazed bricks that anchor the corners of the building. Their harmonious integration reflects the current Riverfront Park neighborhood with a nod to future development in the area. AMLI Riverfront Green features studio, 1- and 2-bedroom options. Amenities include a club room, cyber cafe, fitness center, pool, and sun deck. The apartments are leasing NOW for a December 2018 move in. Get them while they are hot! Cick HERE for more info on leasing. First boundaries get marked; then the plot is cleaned; then the site is prepared per the layout in the drawings. Months pass, dirt is moved, utilities are laid, pipes put in place, and then finally things start to go vertical. Studio PBA has been working with long time client Wood Partners to prepare the site of the Alta Green Mountain project in Lakewood, Colorado for several months. 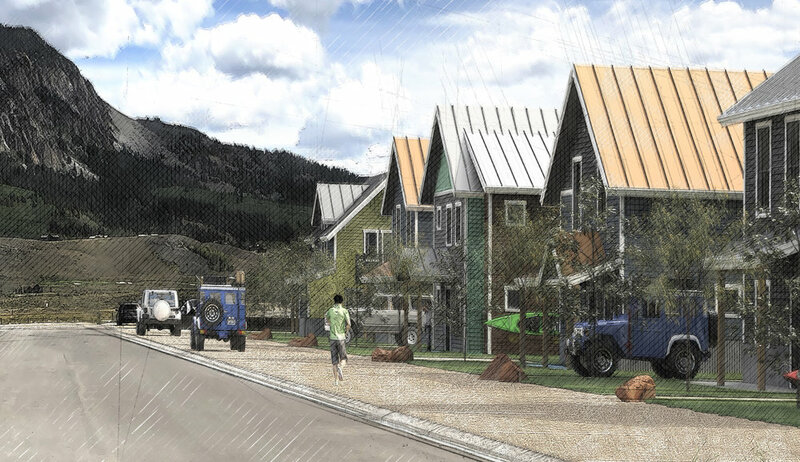 Engineers and contractors have their work cut out for them as they battle Colorado’s summer storms (this site has seen what some have called a 200-year flood) and intense heat as the groundwork is laid for the planned multi family residential project. Now retaining walls are going up, pipes are going in, and the site is being primed so that construction workers can begin laying a foundation for this much-needed residential project. Alta Green Mountain is located in Lakewood, Colorado, a suburb to the west of Denver and just moments away from the Rocky Mountain foothills. True to its name, Alta Green Mountain is not only situated just blocks away from William F. Hayden Green Mountain Park, and when finished, will support fantastic sweeping views of the rolling green foothills to the West and downtown Denver to the East. The 260-unit multi-family apartment project is spread out over 10 residential buildings. The unit mix includes studio, one-, two-, and three-bedroom units ranging in size from 706 SF to 1,341 SF. Residents will enjoy one parking space per bedroom, in addition to 131 designated bicycle spaces. Parking options include a large number of tuck-under garage spaces, in addition to tandem driveway parking, and surface parking. 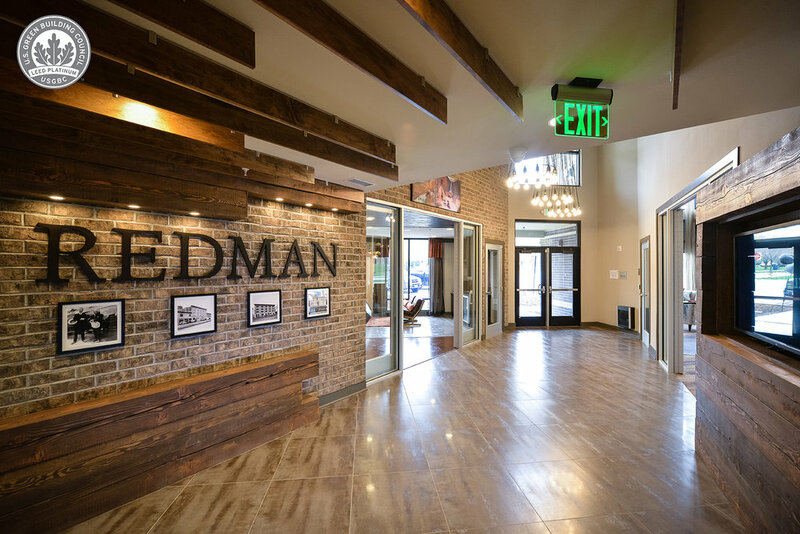 The site features multiple resident amenities, including a pool, luxury clubhouse with co-working space and a full fitness center, indoor dog wash facilities and a resident dog park, bike workshop, and several grilling areas. The site may not look like much just yet. Wood Partners has been dedicated to documenting construction of their projects with drone footage which will allow us to see exactly how assemblies progress. Not only is it visually interesting, but it can potentially help eliminate the need for as many drastic or late in the game change orders. We are looking forward to sharing the images going forward as this project progresses towards its Spring 2020 completion! 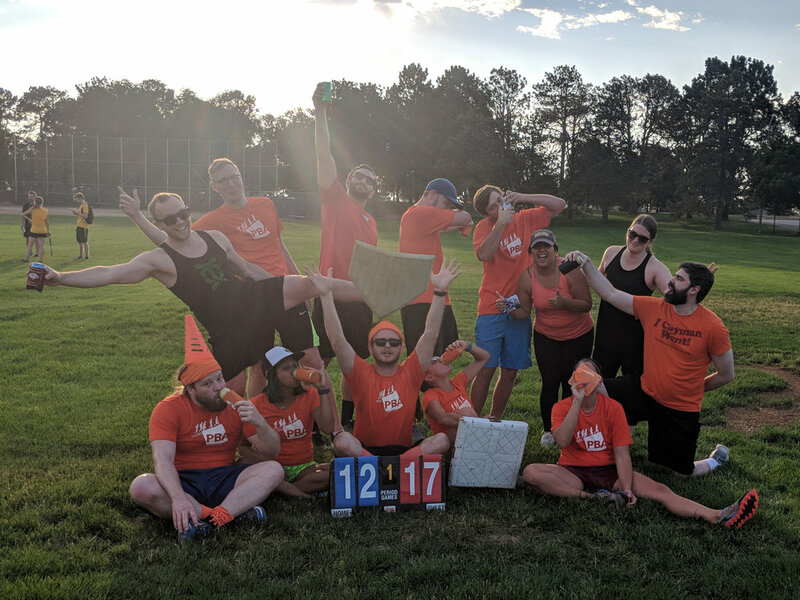 The 2018 Design League Kickball season began in April and Paul's Ball Army (PBA) was looking to advance beyond the first round of the playoffs and outperform any previous team. Starting off 3-0, the team was poised to place high in bracket rankings. Mid season slumps hit hard, but the team rallied after the All-Star break to head into the playoffs. With a record of 5-5, the team was seeded very low, but this did not discourage PBA. Aftera double header victory rally in the first and second round of playoffs, PBA successfully advanced to the Championship game. On July 24, 2018, PBA squared off with the undefeated KTGY. After over 90 minutes of intense game-play, several grand slams, even more spilled beers, and a 25 minute rain delay, KTGY squeaked out a 27-26 victory, with Studio PBA finishing in second place for the season. Aaron Rule, Adam Acree, Chris Fuller, Andrew Hjelmstad, Cy Bergner, JJ Richardson, Jack Nelson, Gina Metge, Tearar Chan, and Martha Jaworowski. Also on the team were several folks from BurkettEUA and friends of Paul's Ball Army. Thank you to everyone who made the 2018 season possible, including our fearless leader Paul! Training for the 2019 has begun and we have our sights set on winning the cup! Aria Cohousing, a 28-unit cohousing project in Northwest Denver, opened last fall and the community is thriving. This summer we had the opportunity to photograph the community and building in action. Check out our new photographs from photographer Paul Brokering! Representatives from Studio PBA, including founder Paul Bergner, Principal and Project Manager Kathy Parker, and Designer Desirae Zamora were on hand to partake in the event (also pictured: Sue Humm of Wood Partners). Lakewood, CO – Wednesday evening, our long-time client, Wood Partners, the Studio PBA design team, other collaborators, and residents alike celebrated the Alta Pinehurst Grand Opening. Alta Pinehurst is a 350-unit apartment complex located in Lakewood, Colorado. The site is almost 20 acres, near Belmar and the Pinehurst Country Club, and holds 13 residential buildings and a luxury clubhouse. Other amenities include fitness center, cyber café and lounge, and resort style swimming pool and spa complex. Additionally, Alta Pinehurst offers a large dog park, a bike repair shop, a covered car wash area, and BBQ grill areas. The grand opening, hosted by our developer partner Wood Partners, took place Wednesday evening on the grounds of Alta Pinehurst. Guests were able to tour the new facilities and enjoy cocktails as the sun set over the nearby foothills. This summer the Studio PBA team has welcomed two student interns into our practice. Both students have goals of working in the AEC industry upon graduation. 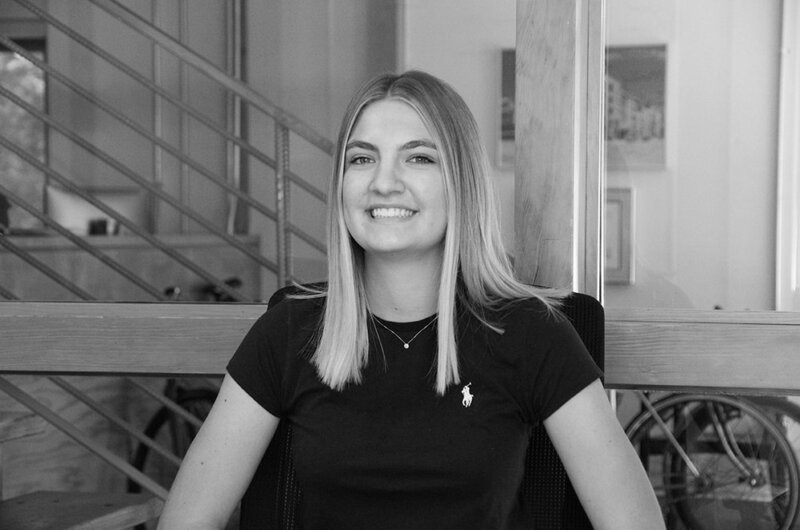 The student interns join us at different stages in their career development: Karsen is transitioning into her Junior year at East High School, just a few blocks east of our downtown office and Cy is a Dallas native and a 4th year student in the University of Oklahoma’s five-year architectural program. While both have different goals for their summer programs, they have already been contributing as members of the PBA team in their short few weeks here this summer. At East, I am on the Engineering pathway. I take classes geared toward Engineering and I will be taking an Aerospace engineering class in the fall. Some classes introduce students to the Autodesk Inventor Program and how to make basic models using this computer programing. Other classes offer computer science and teaches students how to code. What is one of the things that most excites you about architecture? One thing that excites me about architecture is how a team can take ideas and design a building. To me it is impressive how architects can and have to make last minute changes to the design based on the wants of the developer. What skills are you hoping to gain from this experience? From this internship I am hoping to gain skills in Revit and to gain a better understanding of all the things architects do. I have used Revit in the past but interning here has already taught me so many new things in Revit. I am currently at The University of Oklahoma in the American Architecture School. It is a five-year program and I am about to start my second year in the program and plan to graduate with my masters in either Architectural Studies or Architecture with an emphasis in design. I am most excited to dive into the working environment of the industry. I really want to see what is important within the industry, so I can tailor my knowledge around the skills and ideas that are critical to working at an architecture firm. I want to develop skills that make me a crucial part of the team here at PBA as well as lessons that I can apply throughout my career. Both Karsen and Cy will be with us through July, so next time you are in our office, stop by and welcome them! Alta Gateway Apartments became the first LEED Platinum certified apartment building in the state of Utah, earning its plaque earlier this week. 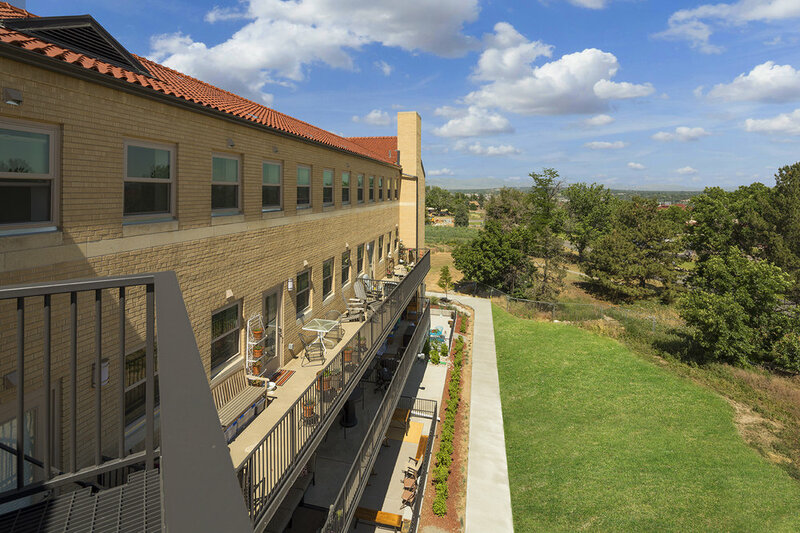 The 277-unit apartment complex scored 86.5 credits under the LEED for Homes rating system, surpassing the LEED Platinum threshold of 83.5 credits. Alta Gateway was certified under the LEED for Homes protocol, arguably one of the most stringent LEED protocols and one that is geared toward living space rather that office or other usage. It requires field inspections of all installations and execution of energy components as well as building performance testing. Energy efficient design can be found at every turn, but where Alta Gateway really shines is in the Sustainable Sites, Indoor Environmental Quality, and Energy & Atmosphere credit categories. Alta Gateway has a remarkable system of large, dome-like Stormtech system, infiltration tunnels that stretch the length of the project when lined up end to end. Though the system is kept dry during normal to light rainfall conditions, it has the capacity and potential to manage the majority of storm water from the roof and from the facility’s hardscape on site from significant storm events, protecting Salt Lake and immediate surrounding watershed. Other site-features include 91% use of drought tolerant plantings and an effective but pleasant use of non-watered landscaping. Alta Gateway scored with whole-building thermal block ratings of HERS (Home Energy Rating System) of 65 and 66. Contributing features include windows that block thermal conduction, high insulation levels, tested air-barriers, 100% high efficacy lighting, all Energy Star and high-efficiency appliances and low-flow hot water fixtures. Significant water savings come from low-flow fixtures and a high-tech irrigation system featuring zone controls and high uniform density spray heads among other features. Residential buildings are occupied in a very unique way – generating lots of heat and humidity from cooking, showering and daily living. This is a comfort factor even in a relatively dry climate. Stuffiness or the sensation of being chilly are a direct result of heat and humidity and over-sized heating and cooling equipment. These factors are controllable. Alta Gateway has a tested, continuous fresh air system with dedicated ductwork that brings in fresh, outside air to every unit. Fresh air, as opposed to building air, has a noticeable impact on comfort, allergies and over-all health. Units also have properly sized heating and cooling equipment that does not short cycle. The equipment runs in intervals long enough to effectively remove occupant-generated humidity. In addition, Alta Gateway units are constructed and finished with low toxin-emitting materials, paints and adhesives, carpet and carpet pad. A big impact on sustainability is the overall durability of Alta Gateway and the structure itself. LEED durability measures slow moisture intrusion from interior and exterior sources. A building that lasts is a building that does not have to be replaced at the expense of the environment. Additionally, construction waste was diverted from landfill to be used as recycled material. Every effort was made to use locally sourced and recycled materials. Alta Gateway, which was officially completed in late 2017 and celebrated its grand opening June 19, with representatives from Studio PBA in attendance for the event. Congratulations to the entire Alta Gateway team on this achievement: Studio PBA (Architect); Wood Partners (Developer); Rimrock Construction (General Contractor); Psomas (Civil Engineer); Enayat Schneider Engineering, Inc (Structural Engineer); Priest Engineering (Mechanical/Plumbing Engineer); Front Range Electrical Engineering (Electrical); US-EcoLogic (Sustainability/LEED Consultant). This past May, the runners of Studio PBA, who featured three relay teams, the Revit Crashers, Rum Runners, and Team Slow Down for What?, participated in the Colfax Marathon relay for the fifth year in a row. The Colfax Marathon is one of the largest charitable races in the country, with over $100,000 in prize pool for those who align themselves with a non-profit partner. 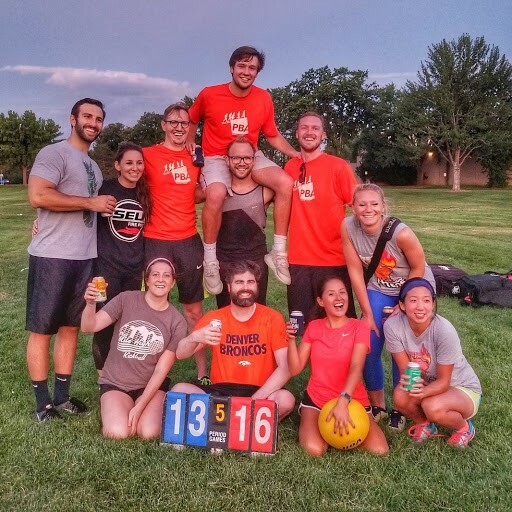 Our charitable partner for the second year in a row was Food for Thought Denver, a Colorado non-profit whose mission is to eliminate weekend hunger for children in the Denver area by providing food PowerSacks, because they believe that no child should go hungry. We have been working with Food for Thought for years, helping to bag “PowerSacks” for kids several times a year. This year our team placed second in the Colfax Marathon Corporate Relay group in the Construction, Engineering and Development category, earning a second place plaque, and most important, $1000 for Food for Thought Denver. The awards ceremony was held June 19 at the DaVita building in Downtown Denver. Studio PBA representatives Tearar Chan and Gina Metge were on hand to accept the check on behalf of our team of runners and sponsors. The training has already begun for 2019! Another Successful Project with Wood Partners Wraps Up! Alta Pinehurst Apartments, located in Lakewood, Colorado is nearing completion. The final buildings of the 13- building residential project are wrapping up and the building is move-in ready! 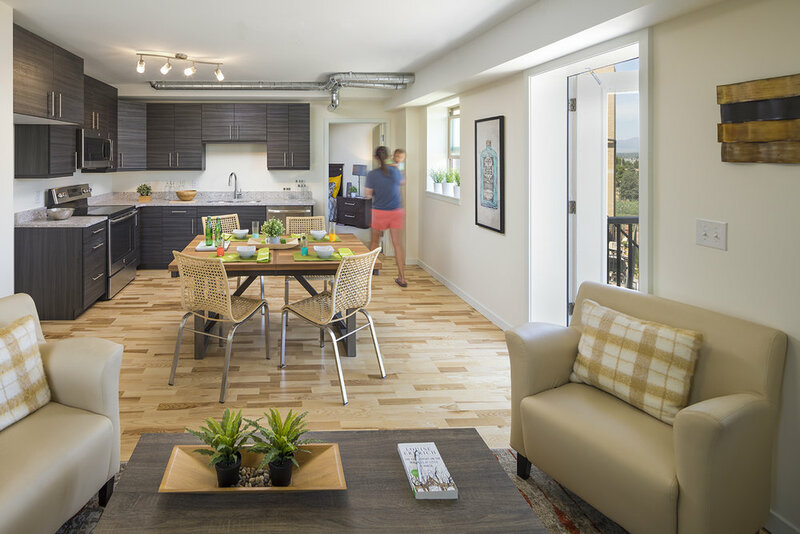 The 350 units offer private garages in addition to surface parking, amenities such as a luxury clubhouse, resort style swimming pool, dog park, bike repair shop, and ample grill areas, as well as impressive sweeping views of the nearby foothills.